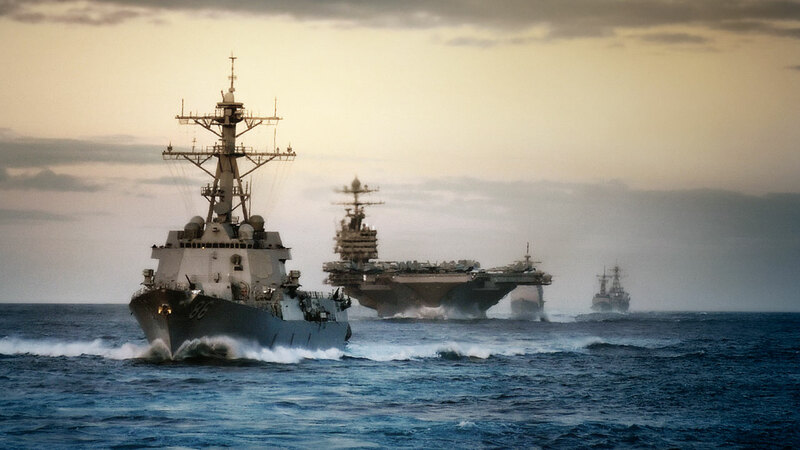 (Natural News) The U.S. Navy is accelerating its efforts to be ready for any threat to national security, and has announced that large-scale live war exercises will take place along the entire east coast of the United States in 2018. The Navy has labeled the testing “Atlantic Fleet Training and Testing Phase III.” EcoRI News is reporting that missiles, rockets, grenades, lasers and torpedoes will be fired, mines and explosive buoys will be detonated, and of most concern to environmentalists, all types of sonar will be used in the exercises. While the dates of the exercises have not yet been released, it is known that around 2.6 million miles of land and sea area will be affected, including the entire eastern coastline, navy pier-side locations, harbors, airports and civilian ports, among others. The Gulf of Mexico will also be affected. The Navy is considering which of three options to use for the exercises, including a “no-action alternative,” and will announce its decision by the fall of next year. The Navy has announced that it will take precautions to prevent marine damage by having spotters on the lookout for mammals during the exercises, and by utilizing acoustic modeling recommended by the National Oceanic and Atmospheric Administration (NOAA). The court found that while it was evident that the Navy had closely followed the necessary guidelines and had made no deliberate attempt to harass or harm marine animals, adequate protection had not been afforded to biologically important parts of the world’s oceans. The court reversed an earlier lower court decision upholding the approval granted for these low-frequency sonar operations. Of course, these proposed war games, while viewed as necessary by some, will likely do further large-scale damage to our ocean creatures. For those opposed to the proposed military exercises, and who are concerned about potential harm to civilian or marine life, public comment is open until 29 August, and can be submitted online or in writing. A public hearing will also be held 19 July at the Hotel Providence, between 4:00 and 8:00 p.m.